There is an important benefit in having a NATA ( IANZ in New Zealand) accredited test report that covers ALL your tests. Accredited testing by a test house accredited to ISO Guide 17025 by NATA, IANZ or a MRA partner laboratory to test to your specific standard is the safest way of proving compliance. NATA or IANZ endorsed reports are accepted by the ACMA and most overseas regulators as demonstrating compliance. Competitor labs have limited recognition and scope of accreditation. 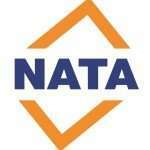 Some fail to meet NATA’s standards for assessment and choose less strict overseas accreditation bodies. Some have no accreditations. EMC Technologies test reports have the widest scope of accreditation and recognition of all Labs in Australia. Testing at another test house will limit the countries that you can export to with the possibility of having to retest in that country. This would be very risky since an unexpected failure would cause major impediments to marketing and great additional expense. Testing at EMC Technologies will save you money because RCM testing (Australia), CE marking testing (Europe), FCC Part 15 testing and certification (USA), ISED testing and certification (Canada), VCCI testing (Japan) and other countries EMC testing requirements can be performed simultaneously hence it will be much cheaper than testing to individual regulations. Limited competitor laboratories must subcontract to other organisations leading to increased costs and delays. ISO 17025 rules state that subcontracting must be clearly indicated before works commence. Make sure your test laboratory notifies you to avoid potential complications and costly delays to market. It is also prudent to avoid labs that claim accreditation by dodgy foreign accreditation bodies. NATA testing is always the safest bet. Please contact us for current certificates if required.